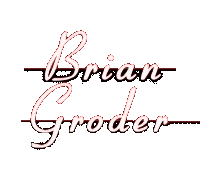 Torque is, for many, a first wide exposure to the music of Brian Groder, and the response to this "new vision for modern jazz" (according to Midwest Records) is overwhelming. Several editions of All About Jazz proclaimed this disc to be "music of ceaselessly fascinating possibilities", as "four brilliant musicians listening closely to one another and playing extremely well together" create "a graceful recording marked by the flawless tone of Groder." The interplay of this champion of modern progressive jazz and the legendary Sam Rivers (abetted by his long-time colleagues Doug Mathews and Anthony Cole, on Cole's final recording date with the Trio) has elicited raves from around the world, calling the music "Razor-sharp" (UK), "The absolute definition of free" (Sweden), "Interesting and beautifully constructed" (Netherlands) and "A true definition of today's jazz: swinging, vibrant and full of vitality" (Portugal). Torque has been compared to the mid-60s music of Miles Davis, the harmolodic output of Ornette Coleman, avant-garde master Albert Ayler, contemporary jazz darling Dave Douglas, even a "mutant Herb Alpert". Truth is, the playing of these four creative masters combined with Groder's "strikingly uncompromising" material is hard to classify, reviewers calling it bop, free, avant-garde, contemporary, neo-expressionist, experimental and exploratory, effervescent, graceful, fresh, smooth and invigorating. What they do agree on is the artistry of the band, the strength of Groder's compositions, and the fiery chemistry between Sam and Brian (more than one reviewer calling them "smoldering volcanoes").